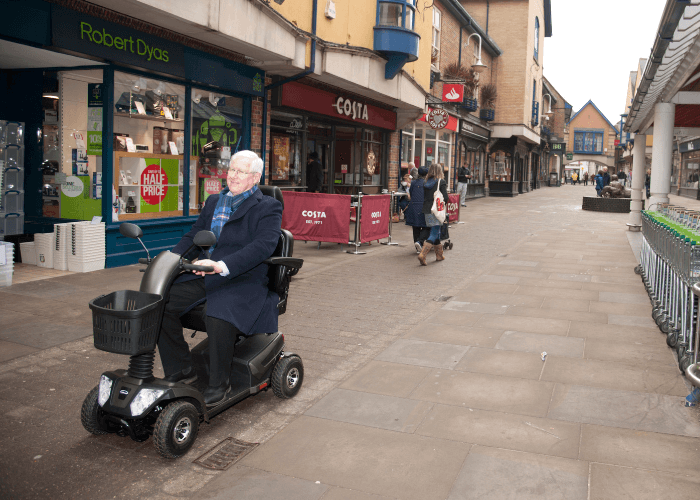 Whatever your journey involves, whether climbing hills or cruising the flat, you can be assured of going places quickly and safely with the powerful and speedy Phantom. 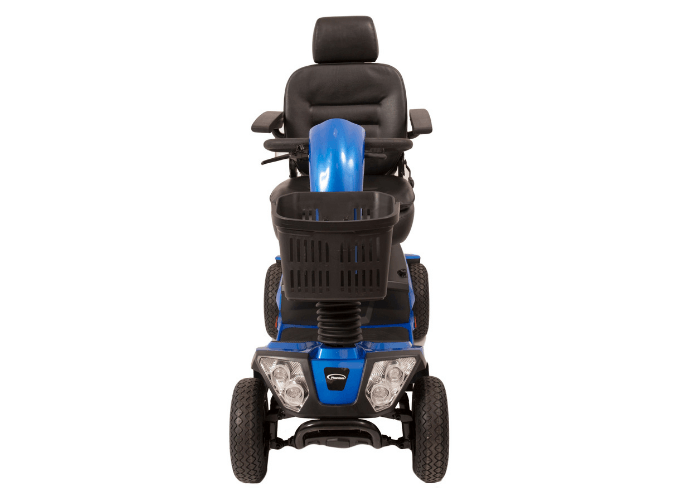 The extra heavy duty motor allows you to climb the most challenging inclines with ease and speed. 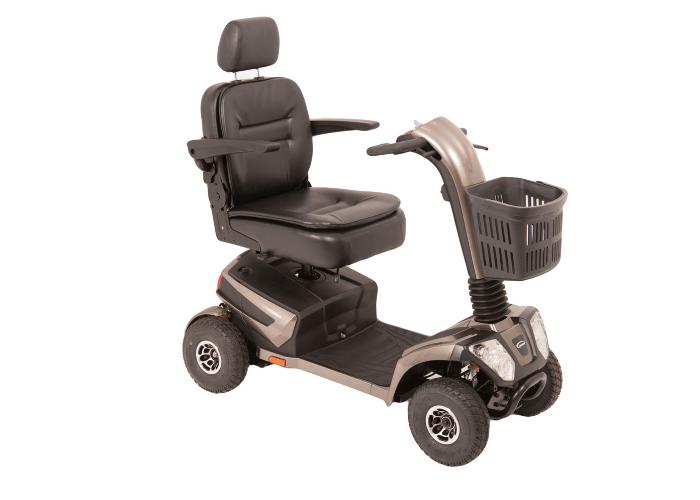 The advanced engineering within the front and rear suspension, complete with the fully adjustable luxury Captain seat delivers a splendidly comfortable and delightful ride. 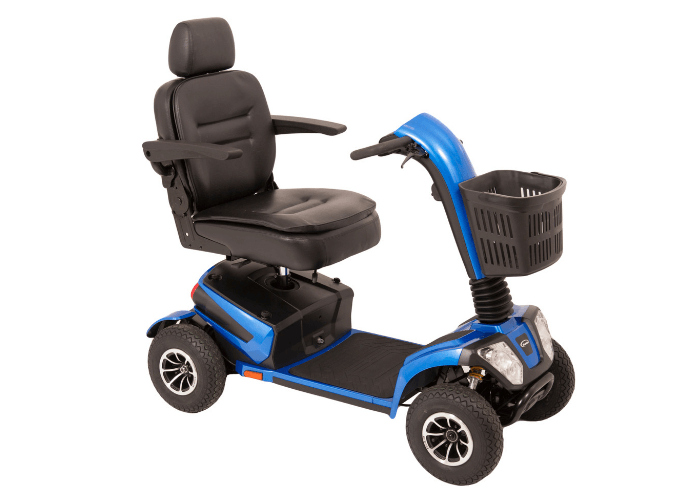 The large floor area allows even the tallest user to enjoy plenty of space and legroom. 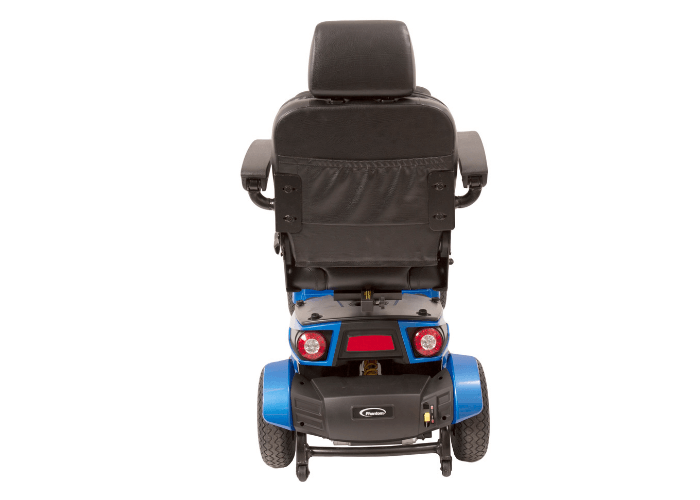 With its sleek, modern design and shrouding the Phantom allows you to travel in style while the large twelve inch front and rear wheels offer fantastic ground clearance with increased driving control over uneven surfaces. 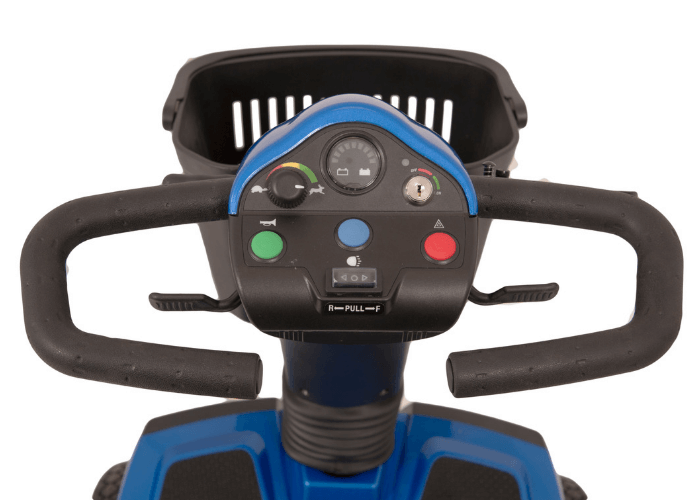 Other benefits include the weightless gas-assisted tiller adjustment, easy to use tiller controls, high visibility rear view mirrors and the powerful front and rear LED lights which allow you to travel day and night. 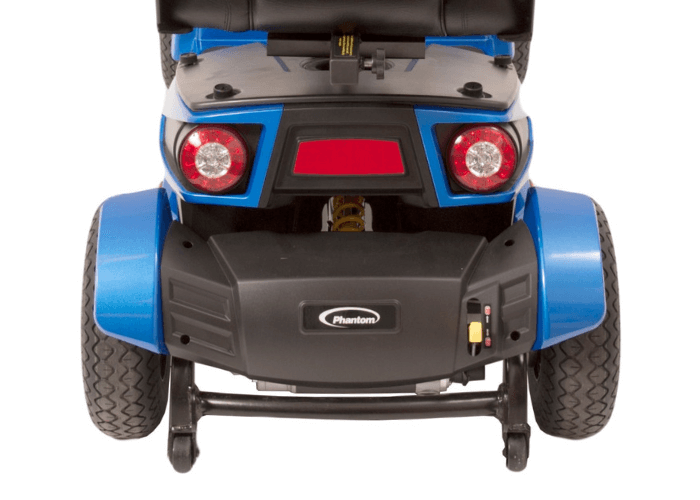 Enjoy your Phantom – Enjoy your Freedom!